We hear it on all of the radio stations: It’s the most wonderful time of the year. In spite of the bleak weather outside, the holidays are a joyful period filled with laughter, good food and — for most of us — happy memories. Unfortunately, people with post-traumatic stress disorder (PTSD) often struggle during this season of merriment. After all, it’s difficult to enjoy the holidays if you’re anxious, depressed, sleep-deprived or attempting to suppress unpleasant thoughts and feelings. Before the holiday season begins — say, in early November — decide how much you want to immerse yourself in the festivities. Do you feel comfortable attending holiday parties? What about family dinners? Set limits to the number of events you’re willing to attend as well as how long you stay at these events. Don’t push yourself beyond your limits, no matter how tempting it may be. Your job isn’t to make everyone happy — it’s to take care of yourself. Even the best laid plans can go awry. Prior to attending a holiday event — even one that you’ve specifically planned to attend — make sure you have an exit plan. Bring a friend or significant other who can bail you out when you start feeling uncomfortable. If no one is able to join you, bring a cellphone so that you can feign an excuse if necessary. For individuals with PTSD, the future can feel hopeless. During moments of overwhelming fear and anxiety, try to stop looking ahead and instead focus on the next five minutes. If you need to quickly leave a holiday party, first focus on finding your coat, then slipping on your shoes and then putting on your gloves. Try to keep your vision firmly rooted in the present. If you’ve struggled during the holiday season before, make sure that your therapist knows. He or she will likely have advice that pertains to your specific case history. If you don’t yet have a therapist, make sure to find one as soon as possible, especially one with a history of treating PTSD. 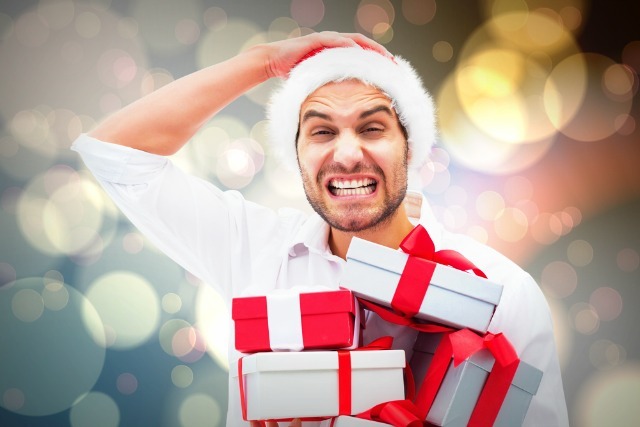 Your therapist may also be able to help you during any holiday-related emergencies. At the Sovereign Health Group, we treat substance addiction as well as numerous mental health disorders, including PTSD, depression, anxiety, schizophrenia, schizoaffective disorder, bipolar disorder and obsessive-compulsive disorder. Each patient receives an individualized treatment plan based on his or her unique needs. We offer individual therapy, group therapy, meditation classes, yoga and equine therapy. Our unique brain wellness program provides insight into how to achieve healthy living on a daily basis, while our cognitive lab allows patients to sharpen their cognitive skills through brain teasers and computer games. For more information, please contact our 24/7 helpline.